Annie’s Hook & Needle Club is a yarn project subscription for both knitters and crocheters. The Cost: $19.99 a month + $5.95 shipping & handling. COUPON: Get your first box for $9.99 + $5.95 shipping! Check out all of our DIY & Crafting Monthly Boxes in our subscription directory! The first insert is a Crochet & Knitting Stitch Guide with some basic instructions. I’ve been knitting for over 15 years, so I did my best to try not to think about what I already know and look objectively at this! For a true beginner trying to learn the basics of knitting and purling, I do think the knitting instructions are helpful and the illustrations are clear. However, the booklet is only 8 pages (two sheets folded and stapled in the center) and covers both crochet and knitting, so it’s not possible to cover anything except the bare minimum. These cotton yarns are branded as Annie’s. Quality-wise, it seemed a little bit nicer than Lily Sugar’n Cream brand, which is the ‘classic’ cotton yarn that is commonly available at craft stores in the US for about $3 per 95-yard skein. But it wasn’t nearly as luxe as something like Blue Sky Alpaca’s Organic Cotton, normally $13.80 for 150 yards. I’d estimate it to be around the $5 or $6 mark per skein. Dishcloths, in both knit and crochet options. This is a very basic project and something that a lot of new knitters start out with, thanks to the affordability of cotton yarn, and the relatively quick nature of this kind of project. Is it a project I’m personally excited about? 🙂 Unfortunately not. Now, since this is a dishcloth and not a sweater, it’s obviously not that big of a deal. But I can see this discrepancy being potentially frustrating to a beginner. Verdict: As an experienced knitter, I felt a little bit like this package from Annie’s Hook & Needle Club was shipped to me directly from the 1980s: there was nothing that felt modern or engaging about the experience to me, from the invoice all the way to the pattern. While I think the yarn itself was of decent quality, the issue with the pattern as written vs the photo put me off. For the $19.99/month + shipping cost of this subscription, I think those who want to learn to knit would be better served with buying a proper how-to book and some discount yarn from the craft store to experiment with. And those who are already serious about knitting and crochet definitely have better options that will introduce them to more interesting yarns and designs sourced from indie dyers and designers. What do you think about Annie’s Hook & Needle Club? What knitting boxes do you recommend? How do subscribers rate Annie's Hook & Needle Club? Do you subscribe to Annie's Hook & Needle Club? Add your rating now! Hi, I received the dishcloth kit to crochet these. I was an experienced crocheter, but that was many years ago. I thought this might help get back into it. I’m attempting the yellow “eyelet stitch” with the suggested hook. I am lost on beginning this special stitch. I remember doing some cross-over-type stitches in the past, but can’t seem to reconcile dim memory with what I’m reading and attempting. I’m trying to find pics or a video, but haven’t found ine with these instructions. I’m coming out of lurkerdom to share my experience with Annie’s. I actually had three Annie’s subscriptions under one account: Simply Beads Kit, Creative Woman, and Cardmaker. The *only* reason to drop them was that I discovered I preferred to choose my own colors, etc. It was extremely easy to cancel online. I also *really* liked that the account let me customize if I wanted to receive each sub monthly, every other month, three months, etc. without speaking to customer service. 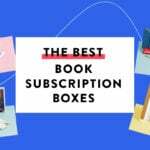 I would not have liked the subscription reviewed here, it’s not my kind of project and if it had been my first experience with Annie’s I probably would have never tried any of the others. However like another commenter mentioned, Annie’s will accept returns if you don’t like the project mailed to you. Back to lurkerdom. Thank you so much for sharing this info! As I mentioned, since we received this box for review we really didn’t get to experience any customer service firsthand, so that is very reassuring. In fairness to the company, I did really like the Ann Williams Craft Box that we reviewed, which is a good value for craft kits and was much more modern in aesthetic. I get this subscription myself, and while I will agree that this particular project is a bit of a dud and not worth the money, I’ve received several shipments that have been much better. One good thing about this sub is that Annie’s lets you return projects you don’t like…I’m not sure if you have to pay shipping expenses for the return, but in any event, you won’t be out $20 if you receive a project that’s not up your alley. Customer Service is responsive, too…Annie’s is a very well-known crafting company, and any time I’ve had an issue, it’s been resolved quickly. This is great feedback, thank you so much! I am really happy that people have had a good experience with their customer service. Everyone’s taste is so different, especially for handmade items, so your point about having a more traditional intended audience does make a lot of sense. As someone who has subscribed to Annie’s Hook & Needle kit club in the past, this review is spot-on. For a novice to intermediate knitter, picking up a copy of Creative Knitting and a skein of Kitchen Cotton is a better and more instructive investment. This subscription really does need a bit of modernization. I am in no way an experienced knitter, and I’m halfway through a baby blanket with seed stitch and basket stitch (which is the same basic deal as ribbing.) I feel like neither of those is something which deserves to be featured as a skill! If you can purl, you can do both of those incredibly easily. Plus, why would you do anything but garter stitch for a dishcloth? They are utilitarian objects. I love my knitted dish clothes, I have a bunch my grandma made ages ago. But the texture of the garter stitch is part of what makes them so good for scrubbing! rubber border to make it lie flat, sure. But garter stitch border and ribbed body? It’ll be cute, but it won’t work as well. To be fair, washcloths are a great way to learn and practice different stitch patterns and seed and basketweave stitch, among others, scrub as well as good ol’ garter. Great review! I appreciate the honesty. I would expect incredible quality for the cost! Thank you for the honest review! As a semi-beginner, it is very much appreciated. And you’re right, that discrepancy between the photo and the pattern would have frustrated me terribly, and I eventually would have quit. Perhaps when I have a bit more experience. Great review! great, honest review on the true value of this box. knitting lessons per hour are of better value than this. With the 80s-style invoice, they might have an older audience in mind. I recall seniors making a lot of dishcloths and things like that when I was a child. It does seem dated, but the colours are pretty. Do you have something against this subscription box? Because it seem like you did, it just seemed like to me it was very harsh criticism. And that is not what I’m looking for in a review to read. I know nothing about knitting or crochet, but I’m always looking at crafting reviews. I did not read a single harsh word in this review. I thought that it was a well-rounded, well-written review. I was actually grateful that this reviewer did not go all Pollyanna like reviewers such as Liz and Jira usually do over obvious flops. Lacey did a beautiful, polite, diplomatic job of calling a spade a spade – this is not worth $26. I would much prefer an honest, unbiased review of something I’m looking to invest in. I want to learn to knit, and I found this review very helpful. Nothing I read was harsh- it was a someone sharing their personal experience with this box. I thought this was a very well-rounded review, and I appreciate Lacey not sugar coating what this sub is lacking. You should try loom knitting. I found it way easier to learn on my own than regular knitting. I actually managed to finish a few loom knit items (have never finished anything I started with regular knitting needles). Thank you, Ragan! That sounds perfect for me- I want something I can finish, lol. I have the Martha Stewart loom and then the books by Isela Phelps are what I learned from. I was happiest that I could actually make a hat (round things always escaped me when trying to use needles). I loved the colors of the yarn. It’s been a long time since I have crocheted or looked at yarn and patterns. These yarn colors make me want to crochet something and since all I can do are afghans wonder where I would use it.